Sometimes a regular pair of bookshelf speakers isn’t enough. The CR3 from Mackie has been designed to cater to the needs of those who need an audio solution that will produce studio-grade sound without distorting regardless of frequency. 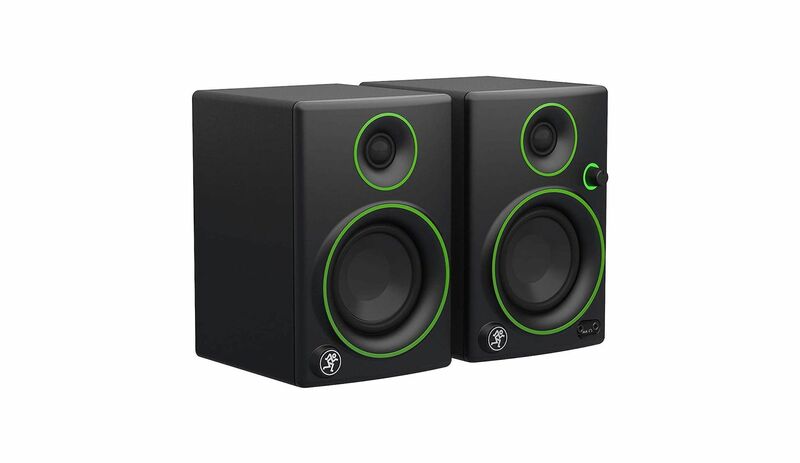 The speakers are highly affordable, however, despite their low-price tag, they do come with features that are normally found in more expensive products. 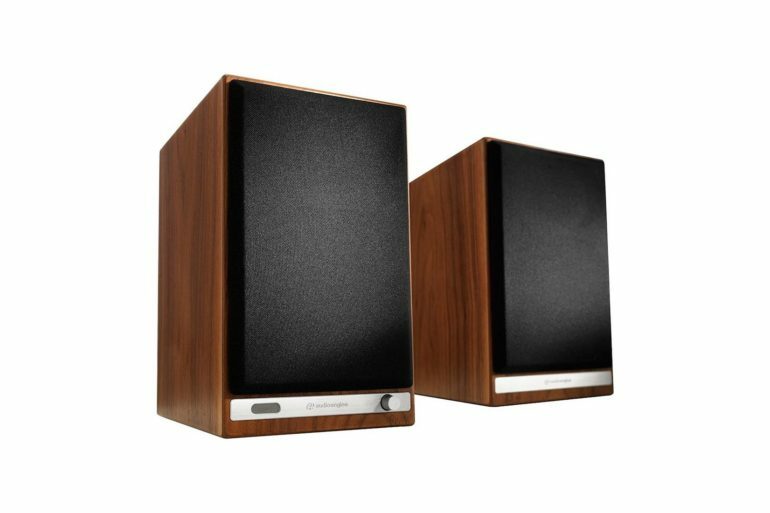 From a consumer perspective, the CR3 is a good choice for those looking for a modern pair of bookshelf speakers that contain current-generation tech specifically designed to produce great sound. Those looking for an all-in-one product that looks great in a modern setting and does not require any additional hardware to work will find that this model is a great choice. However, one of the main reasons behind the model’s popularity is the fact that the model works amazingly with anything from smartphones and tablets to laptops, computers, and even turntables. 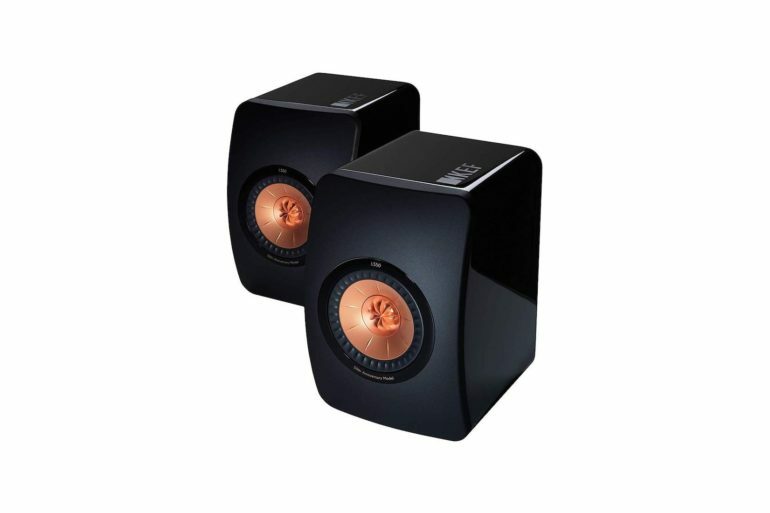 The speakers offer a great balance between price and features and are designed to be used at full power, for extended periods of time. In other words, the average user may find that the speakers can last several years without any kind of problems. 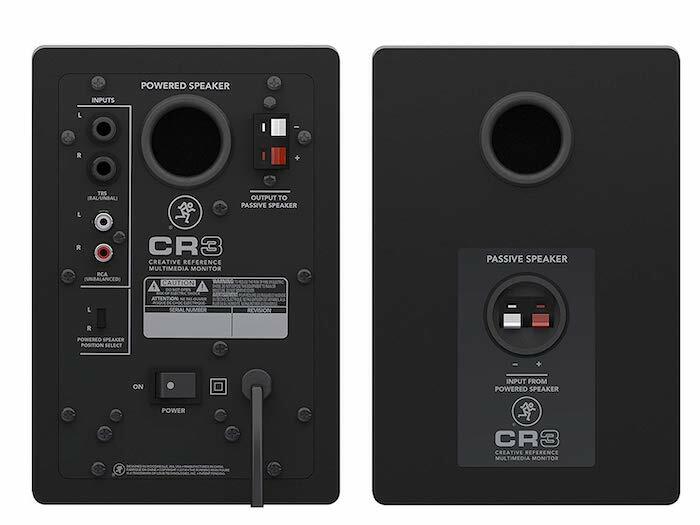 The engineers at Mackie have designed the CR3 with performance in mind. These modern-looking bookshelf speakers are built to cater to the needs of modern consumers. They come with an integrated amp, and all the cables required to start using them immediately after taking them out of the box. They may not have a Bluetooth feature, but they do have an auxiliary port that can be used to connect any kind of smart device or laptop to them and start playing music. While the materials and parts used in their manufacturing process are meant to create studio-grade sound, the CR3 speakers are mainly oriented towards audiophiles who want to listen to music the way it should sound, with no distortion. The Mackie CR3 can generate 50W of stereo sound using its 3-inch woofers and 0.75-inch tweeters, making the model great even for larger rooms and parties. One of the secrets behind the quality of the sound generated by the speakers is the fact that they come with acoustic isolation pads that isolate the monitors from the surface that they’re placed on, generating a huge base response boost. These pads can be used to adjust the position of the speakers, helping point them either up or down in order to better direct the sound. The modern design of the CR3 makes the speakers look great in both minimalistic décors, as well as in modern, gaming-oriented rooms. The black and green make them stand out and the single control knob makes it easy to use. Also, the ability to specify where the powered speaker is placed makes a huge difference when it comes to placing the monitors exactly where you want them. As for the internals, they make the speakers great for those who simply want to take their gaming to the next level, as well as for audiophiles who know what music should sound like and want a quality system. 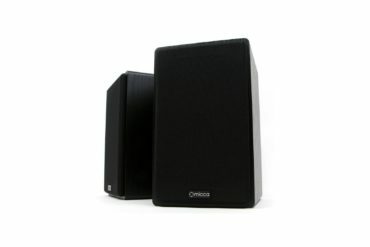 Naturally, the monitors can be easily connected to a subwoofer, further enhancing the experience regardless of the situation. Generally speaking, the CR3 is a versatile product that delivers great performance in almost any situation. Also, it’s an all-in-one product as it comes with all the cables needed to connect it to various devices and there is no need for an external amp. 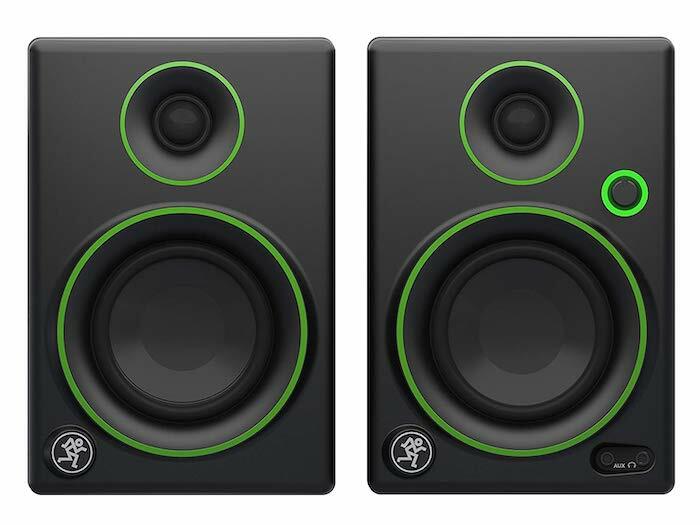 What features make the Mackie CR3 monitors worth the money? Works out-of-the-box – Everything needed to start using them right after unpacking the box is included with the speakers. How does it compare to other products in the same class? When it comes to powered bookshelf speakers, the CR3 is not the only great option on the market, however, it is one of the most affordable. Those who do not have a lot of money to spend on speakers but would like a quality product that works without any additional equipment or amplification will find that this model has a lot to offer. However, if you have a bigger budget and would like a few more features in terms of both connectivity as well as the quality of sound, an interesting alternative would be the Audioengine HD6. This model comes with wireless connectivity that enables the owner to stream music using various apps and services, a remote control that can be used to control the speakers from across the room, and a classic, elegant wooden enclosure. While this one may cost more, it produces crystal-clear sound regardless of frequency and is powerful enough for almost any type of indoor event. On the other hand, those who would rather spend less on a pair of speakers can go for the M42 manufactured by Micca. Unlike the Mackie CR3, the M42 does not have an integrated amplifier, however, it does rival its more expensive counterpart in terms of sound quality. Overall, you would have to pay extra to get an external amplifier, however, the price of the product is considerably lower. 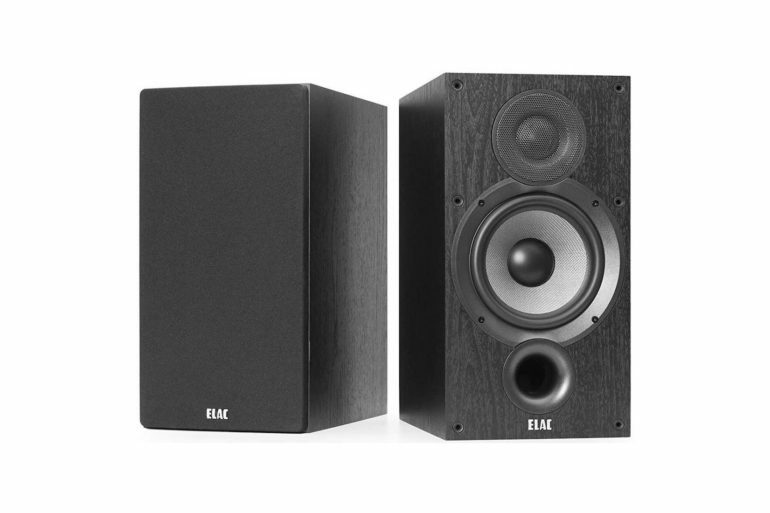 This having been said, those who do not have any experience in terms of audio equipment should always try to do things as simple as possible, so a pair of bookshelf speakers that come with integrated amplification will be the better choice. This is due to the fact that not all external amplifiers are compatible with all speakers and using one that is either too powerful or not powerful enough can damage them. 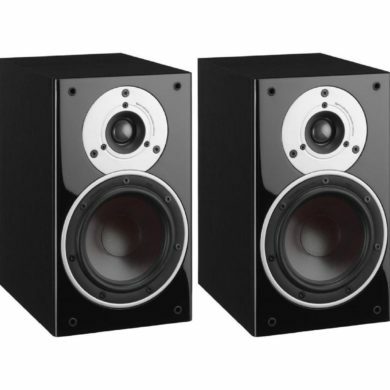 The Mackie CR3 caters to the needs of casual users who need a good pair of bookshelf speakers. These can be used for anything from music to gaming, and are responsive enough to handle even a bit of mixing and mastering. While it may lack some quality of life features such as Bluetooth and the ability to control it from a distance, it does what it was designed for. Overall, all the parts that power it are designed to work together in order to create the best possible sound, and to last for a long time, provided that the speakers are maintained properly. Also, there are the included acoustic isolation pads that would cost extra if you had to buy them separately.